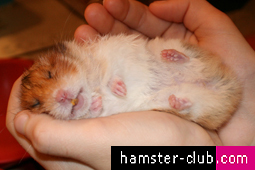 Hamster Club :: Which Hamster Toys Will Keep My Hamster Busy For a While? Which Hamster Toys Will Keep My Hamster Busy For a While? The question about which hamster toys will both keep your furry little friends busy playing and also give them something to chew on for a while is one that can really leave you totally confused and scratching your head. Some of the most popular hamster toys around and out there are hamster wheels (both cage hook-on and freestanding), hamster exercise balls as well as the climbing tunnels and hidey boxes that attach to the tunnels. There are also one and two-story plastic hamster houses and clear plastic boots that you hamster can run in and out of to their heart's content. Hamsters absolutely love to climb all over the place every chance that they get so it would be very smart to get at least two climbing tunnels and the hidey/sleeping boxes that go at the end of the tunnels. These hamster toys not only give your hamster more to explore, but also a few more places to sleep ... and the exercise that they really need. Something else that every hamster absolutely needs is a hamster exercise ball to run around in outside of his or her cage. These useful little hamster toys not only allow you to have a place to put your furry little companion while you are cleaning out their cage, changing the bedding or just adding another of these hamster toys to their cage for them to play with; but these balls also allow you to let your hamster out of the cage to run and exercise very safely. Your hamster is going to be safe from being eaten or chased by other larger pets and also cannot get lost that easily while they are running around in their hamster ball. These hamster toys come in more colors than you can shake a stick at. 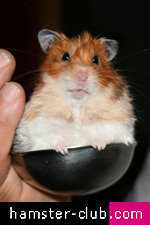 The color that you choose all depends upon your preferences and what you think that your hamster will like as well. Something else that you need to remember to get your hamster are hamster chew toys or chew sticks. You may not think that these are hamster toys; but they actually are due to the fact that your hamster will play with them as much as they will gnaw on them.